We have a wide range of highly experienced comedians available to perform at work socials, corporate events or product launches. Brighton Comedy Course can provide comedians who can custom their set to encompass your company, providing humour specifically related to it. Brighton Comedy Course can offer you unbiased advice and suggestions. We have no affiliation with any one act, celebrity or agent so can offer completely objective advice. We can negotiate on behalf of each client and get the best possible deal. Prices start from £600 (excluding venue). Prices vary on show time and packages. Venue can be provided for an additional cost. 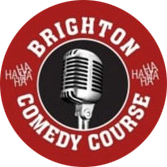 Brighton Comedy Course specialises in tailor made shows for each venue or event. We specialise in securing line ups of comedians who complement and contrast with each other so that your audience are fully entertained. The packages go from Bronze which includes comedians who don’t yet have a strong media presence though are doing well on the comedy circuit to the Gold package which consists of high calibre comedians who are working at a commercial level, performing on television and making guest appearances on popular quiz shows. Prices start from £600 (excluding venue). Prices vary on show time, location and packages. Venue can be provided for an additional cost. We have professional comperes to host any event. Prices vary on performance time, location and size of audience. Contact Louise to discuss. Here’s what clients have to say……. 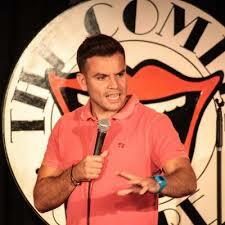 “I contacted the Brighton comedy course to see if they could provide a comedian for our annual company party. We thought this was a great idea but we had no idea what to expect. But I’m glad that we took the risk because the comedian was fantastic. Arnthor Johannsson, Sales manager, OTC Pharmaceuticals. Ian Lucas, The Windmill Inn.